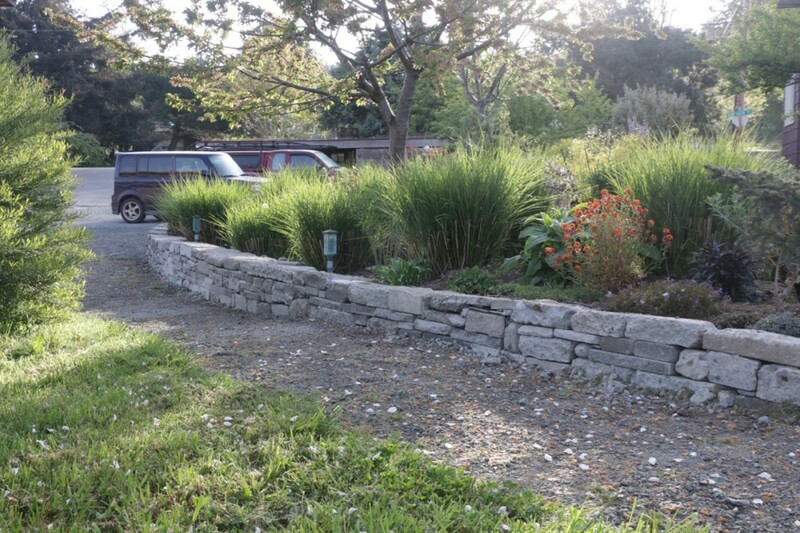 If you’re wanting to build beautiful stone walls for your landscape – urbanite rocks! “Urbanite,” better known as waste concrete, is plentiful; lasts pretty much forever; is easy to work with and in most cases … it’s free! Surprisingly, few people take advantage of this great material. 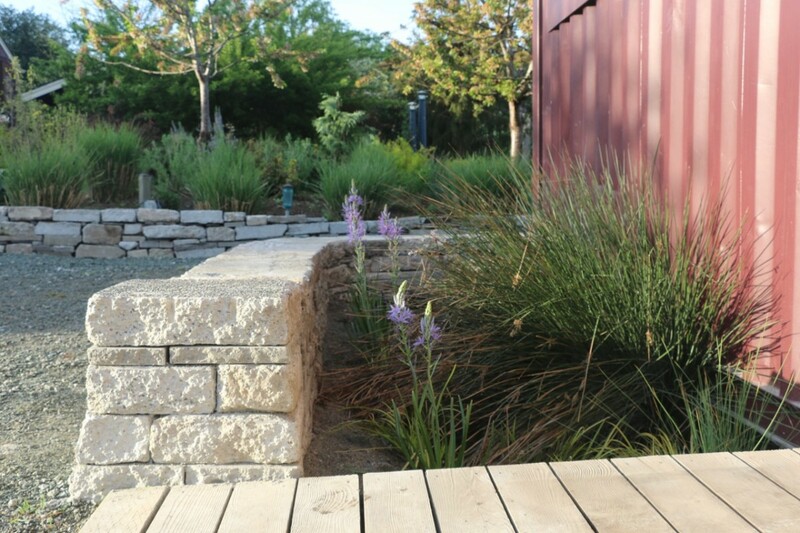 Urbanite replaces our need for stone or new concrete blocks – the primary materials used for landscape walls. Stone requires mining and often has to be transported great distances. Concrete is an energy hog. Its fabrication accounts for 5% of our global emissions. Reducing our need for new material and making good use of what we have makes ecological sense. If you’re concerned there may not be enough of this for your needs, don’t be. Our rapidly changing environments create more of the stuff every year. It’s rock-bottom price should give you a pretty good idea of the ratio of supply to demand. 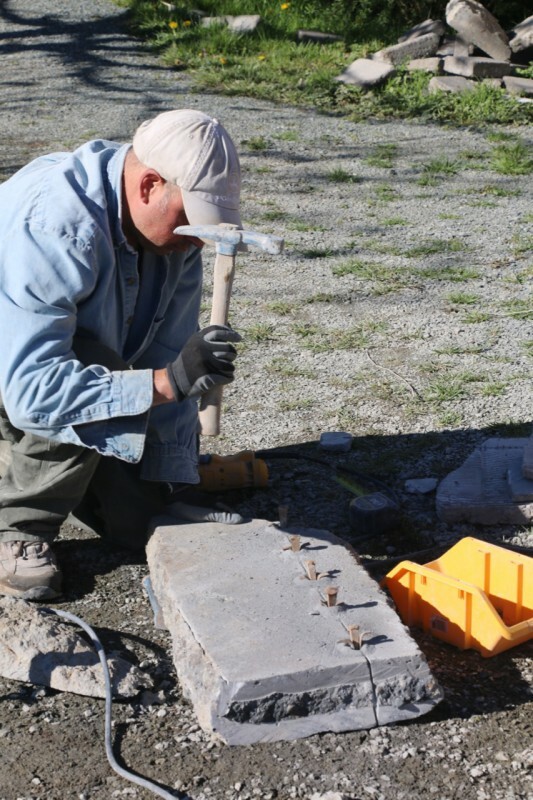 We’ve seen some installations of this material that were … ahem… aesthetically challenged, so we decided to collaborate with Hector Santos, a professional stone mason and sculptor. 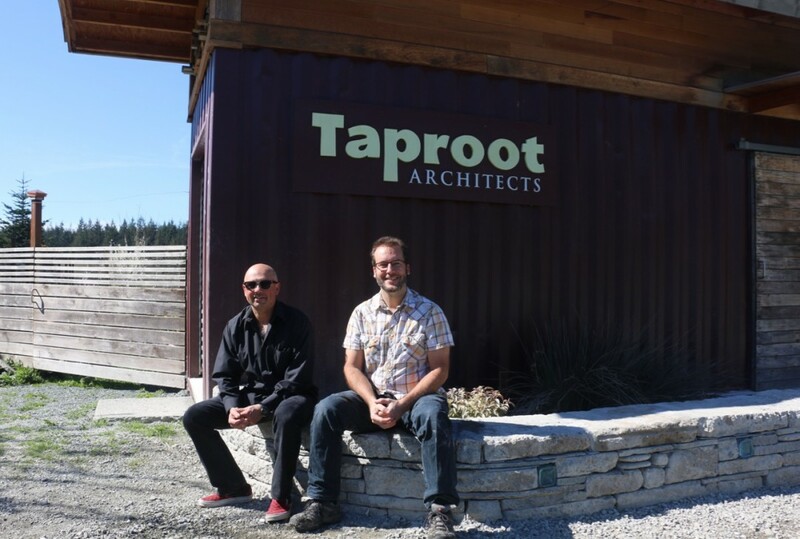 We wanted to bypass the learning curve and see what was really possible. It was a great decision. Hector brought a wealth of knowledge and stone craft to the process and patiently shared how those techniques could be adapted to urbanite for a beautiful result. We stopped by the local landscape yard to pick up some materials. As you can see – we had plenty to choose from. This pile is about half an acre in size and more kept showing up every day. The yard owners were extremely generous and allowed us to take as much as we wanted. 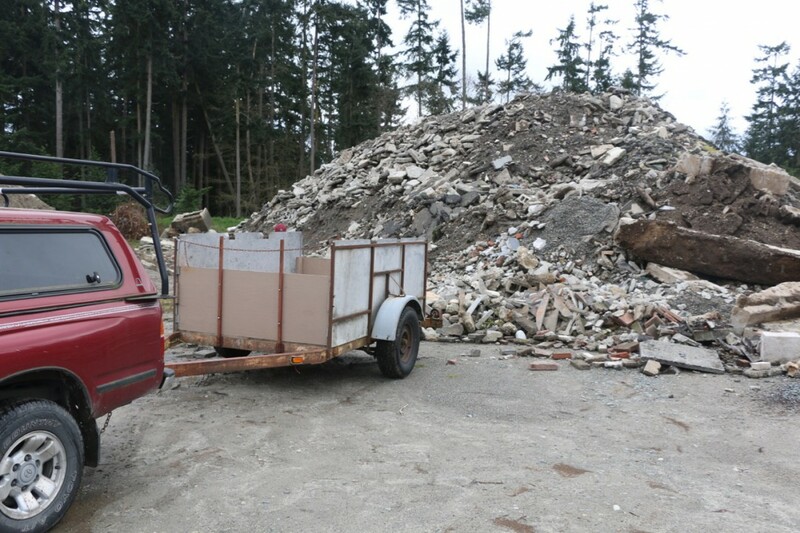 Most waste concrete is from concrete slabs and measures about 3″-5″ thick. We sought out material that was relatively uniform (flat on both sides), free of reinforcing and manageable for 1-2 people to transport. 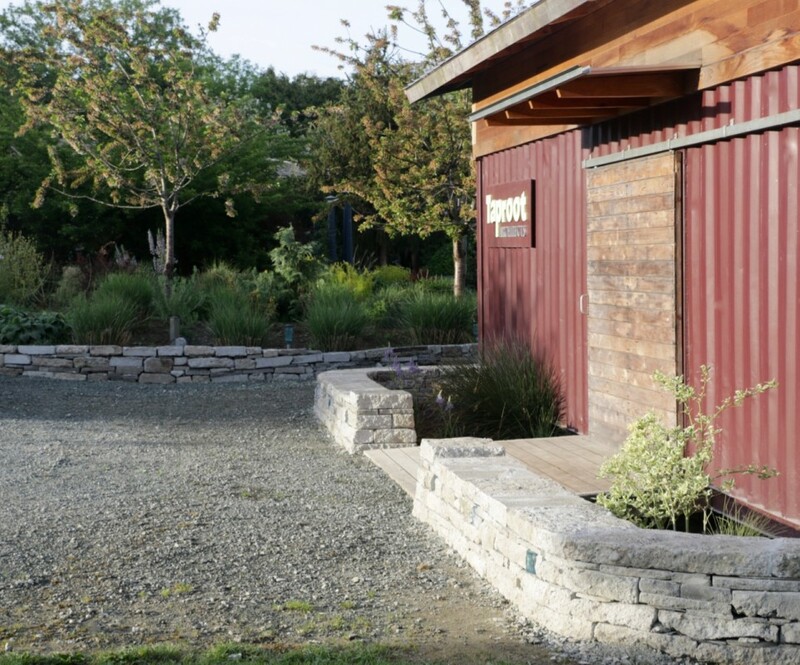 We tried to bring home a variety of thicknesses (to add interest to the wall) and were lucky enough to find some scrap slate shingles (good for shims) and some round rocks – which added some artistic interest here and there. In all it took us about eight trips. With the supply yard close by, that allowed us to use up each load as we went and end the project with very little left over. We decided to build two sets of walls. The first – a carefully dressed and tapered barrier between the Cargo Shed and the parking area. 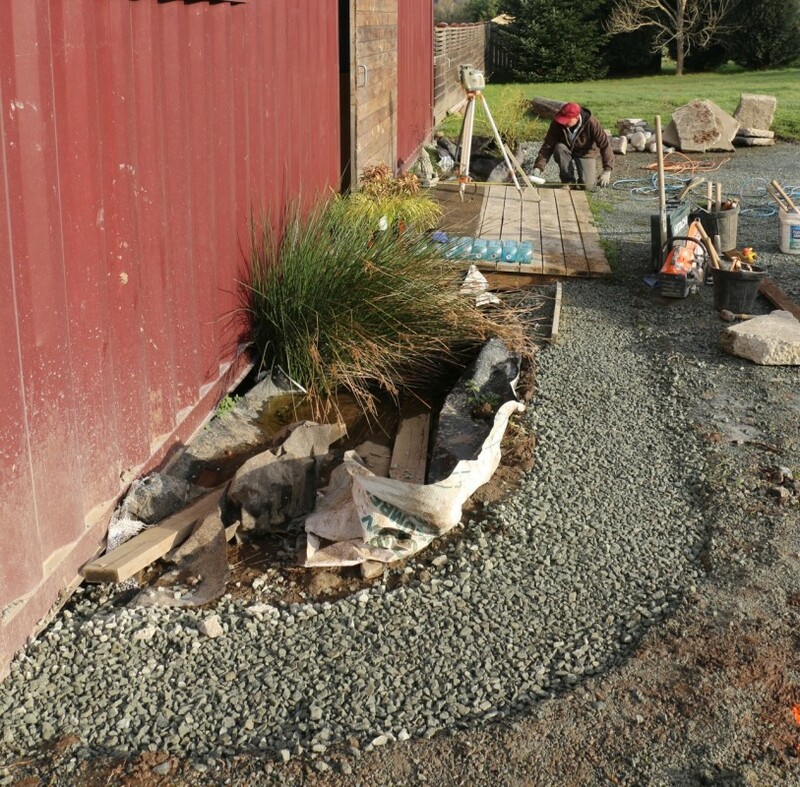 Its purpose: to enclose a pair of rain garden which slow and filter the road runoff prior to releasing it into a bioswale. 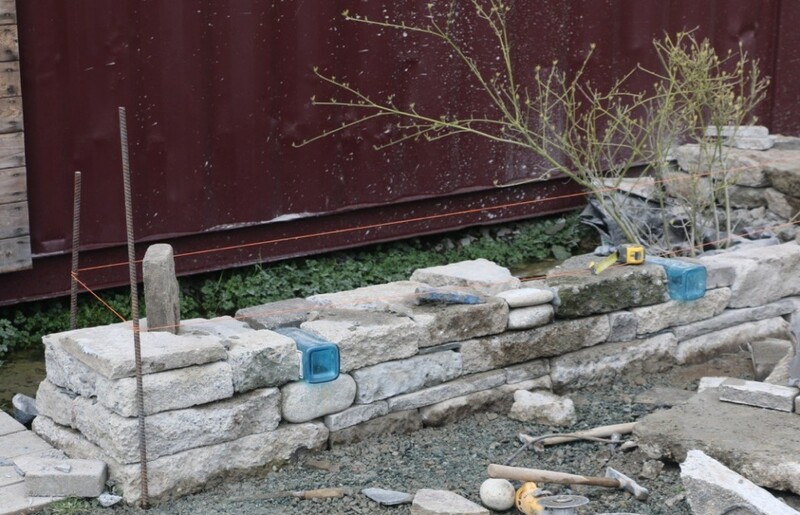 The second set of walls would be conventional retaining walls for the landscape beds. These were much easier to build, so for the purpose of this post, we’re going to focus on the free-standing elements. To start, we excavated a shallow footing (ideally about 12″ deep) and filled it with crushed rock (free of binder). Eliminating the binder allows the footing to drain water easily. Hector prefers a heavier ballast rock for this application, but we found the 1-1/4″ rock to work quite well. The footing needs to extend beyond the footprint of the wall (for stability). We utilized a rotary laser mounted to a tripod for uniform leveling of the wall. This is an important detail as having a level top really helps to give the wall a finished appearance. Elsewhere on our property, we’ve used recycled gin bottles as landscape lights. Carrying the theme one step further, we integrated them into the structure of the wall at even intervals. The square nature of the bottle compliments the blocky urbanite and the aqua color adds a little interest. At night, these are illuminated to a soft glow by low voltage LED lamps. In this photo, you can see the rebar stakes that Hector used for consistent alignment of the sloped wall. The strings are moved up as the wall courses higher. Round stones are added here and there for whimsy and artistic value. When needed, they can be cut or flattened with a diamond blade on a 4″ grinder. Blocks are laid out to lap onto other blocks below i.e. joints do not align vertically through the wall. For a dry-stacked wall, this ensures structural integrity and reduces settling. Block heights are randomized to avoid a coursed or “layer cake” look. 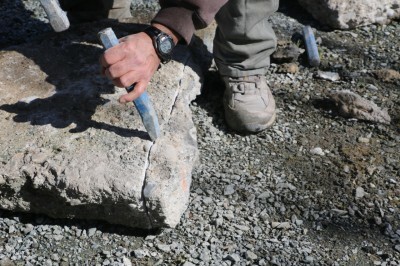 Mortar (Type “S”) was used only where round rocks were used, to stabilize the top cap, or where the blocks weren’t able to penetrate at least 8″ into the wall interior. The bottles are laid loose in the wall in fitted slots – so that they can be removed for light bulb access. To trim a block, scribe a line with a diamond bladed grinder. The cut relieves the surface tension and helps the block to break along that edge. This can be done to the top and bottom surfaces for better control. Then, using a cold chisel and a hammer, whack along the kerf until the block breaks. It takes some practice. The deeper the kerf, the more likely the block is to break along that joint. 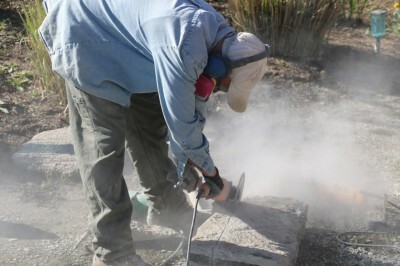 To give the concrete a more uniform appearance (resembling stone), we chiseled the exposed face of the smoother blocks. That may sound hard, but it actually goes pretty fast. We would cut a shallow kerf about 3/8″ from the face of the block on the top and then spall off the face. We elected not to do this for the landscape walls and it still looked OK, but this attention to detail really results in a higher quality finish. Another technique we employed was splitting the larger pieces into smaller chunks. This was done with “feathers and wedges.” Basically, you drill holes (with a roto hammer) evenly along a slot cut into the top surface. The holes are about half the depth of the material. You then insert steel wedges and L-shaped “feathers” and pound away. The goal is to drive the wedges in at the same rate so that even pressure results until … presto the block snaps in two. This whole process takes about five minutes and can quickly turn a large unwieldy slab into smaller useful pieces. If you’re feeling lucky and want to try a faster method, you can try just cutting a deep groove on the top and bottom of a block and whacking the slot with a cold chisel. If the combined cuts are about 2/3 of the block depth, this tends to work pretty well. Less than that and you’ll need some luck. 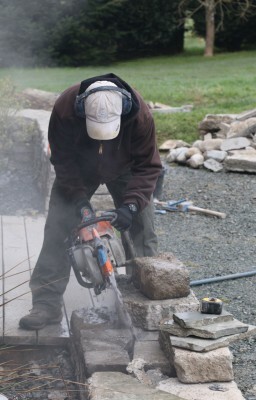 If you do this professionally, or just happen to love tools, then a concrete wet-saw makes quick work of block shaping. Here’s a picture with Hector unleashing its might on a corner block. It should go without saying that safety gear is essential. In our case, we wanted an architectural wall reminiscent of the CCC era masons. Their work is still in service in our local parks and is testament to the longevity of this type of construction. Toward that end, we felt it was worth a little more effort for something that will be around a long … long time. Hector likes to say that “stone is forever” … and in the context of our lifetimes, that’s a very true statement. Here’s a picture of Hector and Matthew sitting atop the finished wall. Optimal sitting height is about 18 inches. While the ground slopes along the wall length, it averages about that height. I love it when architecture reveals more to us the deeper we look. Here’s a few parting images. The first shows the whole assembly in the early morning. For the rain garden, Sarah complimented the native reeds with dogwood, iris, juncus, camas lily and gunnera. The background wall steps slightly where the higher parking lot wall meets the lower path wall. Visually, the two flow into one another. The latter image shows the landscape wall along the path. Here, the back side of the urbanite is buried into the soil, so uneven pieces are easy to fit into the wall assembly. Gravel is backfilled behind the blocks for stability and drainage. If you decide to use urbanite on your next project, send us a photo … we would love to see what you come up with. If you’re nearby and want a skilled artist to help you realize your vision, give Hector a call. He’s currently plying his skills in Vermont, but is willing to make the journey west during the long cold New England winters.